Initially scheduled for late July, a series of five public hearings – including one session in Edinburg – on the proposed routes for the $650 million Hidalgo County Loop has been rescheduled to begin on Tuesday, August 5, and continue through Wednesday, August 13. 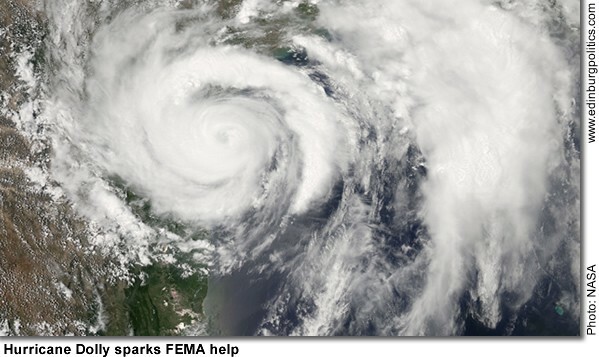 The date changes were forced by Hurricane Dolly, which hit deep South Texas with 100+ mph winds and up to 20 inches of flooding on Wednesday, July 23. The public hearings are designed to solicit public feedback on the proposed routes of the planned loop, a major project of the Hidalgo County Regional Mobility Authority (HCRMA), a governmental entity whose seven-member board of directors are political appointees. 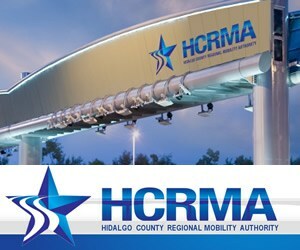 Under a state law that allows for the creation of a Regional Mobility Authority, the chairman of the HCRMA board of directors is an appointee of the governor. The Hidalgo County Judge and the four county commissioners each appoint one member. 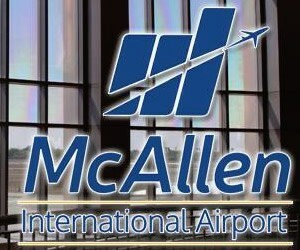 And, because it is the most populated city in the county, the seventh board member is an appointee of the McAllen City Commission. The Hidalgo County Loop is being developed to part of the regional effort to more effectively manage transportation issues in one of the state’s top 10 most populated counties. It will be designed to help move truck traffic from the international bridges in Hidalgo County to the Free Trade Zone and away from the urban areas to cities in the north. Following the disruption caused by Hurricane Dolly, the HCRMA announced the new dates for the five public meetings, which are designed to provide public feedback on the proposed TPA. This meeting will be held in the cafeteria at Valley View High School, 600 N. Jackson Road (corner of Hiline Road and North Jackson Road). This public hearing will focus on Section A of the loop. Section A involves a new location roadway connecting the Pharr International Bridge west to U.S. Expressway 83 at Peñitas. This meeting will be held in the cafeteria at John F. Kennedy Elementary School, 1801 Diamond Avenue. This public hearing will focus on Section C of the loop. Section C involves a new location roadway connecting U.S. Expressway 83 near Peñitas north to U.S. Expressway 281 north of Edinburg. This meeting will be held in the cafeteria at Donna High School, 1/4 Mile EastWood Avenue. This public hearing will focus on Section B of the loop. Section B involves a new location roadway connecting from Military Highway in the vicinity of the proposed Donna International Bridge north to U.S. Expressway 83. This meeting will be held in the library at Edinburg North High School, 3101 N. Closner. This public hearing will focus on Section D of the loop. Section D involves a new location roadway connecting from U.S. Expressway 83 between Alamo and Donna north to U.S. Expressway 281 north of Edinburg. 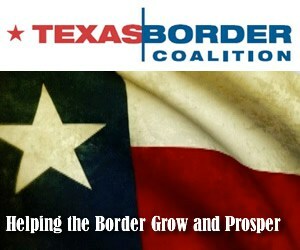 This meeting will be held in conference room, McAllen Chamber of Commerce, 1200 Ash Avenue. This public hearing will present the entire project map. The HCRMA is paying for the project with a series of financial mechanisms that include tolling and the newly authorized Tax Reinvestment Zone (TRZ), which uses property values from new development prompted by the road to pay for its construction. On July 2, the HCRMA approved the Technically Preferred Alignment (TPA) for the proposed Hidalgo County Loop. The TPA was chosen in a unanimous vote by the HCRMA governing board after engineering analysis by Hidalgo County Road Builders (HCRB), environmental input from PBS&J, the RMA’s environmental experts on the project, and public input gathered at five information open houses in May. The State of Texas on Saturday, August 2, approved aerial spraying for the counties of Hidalgo, Cameron and Willacy counties, Hidalgo County Judge J.D. Salinas, III, has announced. At the request of the local counties and municipalities, the Texas Department of State Health Services has contracted with Chicago-based Clarke Mosquito Control to conduct the aerial sprays, which could start as early as Sunday night, August 3, but will begin no later than Monday night, August 4, weather-permitting. Al issues with U.S. 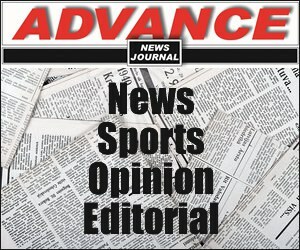 Fish and Wildlife were resolved late Friday night. Aerial mosquito sprays must remain at least one-half mile away from federal wildlife refuges and reserves, as well as state-owned wildlife areas as to not disrupt protected species and their food supply. Hidalgo County had needed USFWS approval in order to be eligible for FEMA reimbursement. 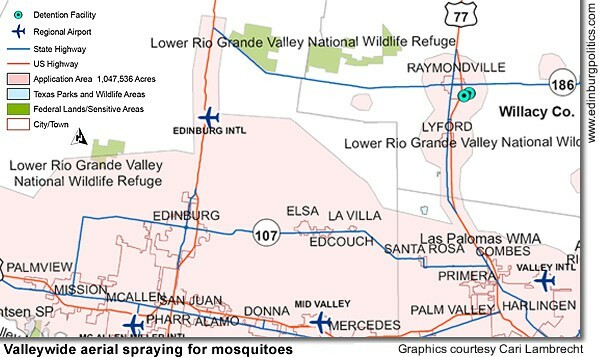 Aerial mosquito spraying will cost approximately $2 million or more in Hidalgo County alone. Mosquito counts conducted by the region’s health departments are in some cases as high as 384 (Harlingen) mosquitoes per minute, with an estimated average count of about 120. A count measures how many mosquitoes land on one leg from the waist down in 60 seconds. Mosquito counts are required to be conducted in affected areas to provide documentation to the federal agencies like the Centers for Disease Control and the Federal Emergency Management Agency that aerial spraying is needed. “With recent instances of dengue across the border and the 13 cases of West Nile virus reported here in 2004, we must take all preventative measures to avert long-term medical and health problems,” Salinas said. Aerial sprays with the chemical Dibrom will target the areas with the highest landing counts and the highest population density first. Hot spots include La Villa, Edcouch, Elsa, and La Blanca in Hidalgo County; Harlingen, Santa Rosa, Combes and Primera in Cameron County; and Sebastian, Raymondville and Port Mansfield in Willacy County. Dibrom is an EPA registered chemical that can be used for public health mosquito control without posing unreasonable risks to the general population when applied according to the label. The aerial sprays will give local vector control officers breathing room to target mosquito larvae. The spraying kills live adult mosquitoes on contact, but not the eggs. Local efforts must continue. The counties may consider a secondary spraying if it is deemed scientifically necessary by trappings and mosquito counts. More than 1.1 million acres has been identified by state and local officials as in need of aerial vector control. One plane can cover approximately 20,000 acres per hour at a speed of 170 mph. Spraying occurs at night when mosquitoes are more active, the wind calms and fewer people are outside. One plane will likely be able to cover about 100,000 acres in one evening. Multiple planes will be used. The entire operation is expected to take five to six days. The Texas Workforce Commission (TWC) is accepting applications for Disaster Unemployment Assistance (DUA) from individuals in Cameron, Hidalgo and Willacy counties whose employment or self-employment was lost or interrupted due to Hurricane Dolly starting Tuesday, July 22, 2008, and continuing, according to Rep. Armando “Mando” Martínez, D-Weslaco. Applications for DUA must be filed by Tuesday, September 2, 2008. Applications filed after Tuesday, September 2, 2008, will be considered untimely, unless the individual provides good cause for filing after the deadline. Individuals will need their Social Security number, a copy of their most recent federal income tax forms or check stubs, or documentation to support they were working or self-employed when the disaster occurred. To receive DUA benefits, all required documentation must be submitted within 21 days from the day the DUA application is filed. DUA is available to individuals for weeks of unemployment beginning Sunday, July 22, 2008, and up to Saturday, January 24, 2009, as long as their unemployment continues to be a result of the disaster. To file for DUA, individuals may call the nearest TWC Tele-Center from Monday through Friday, 8 a.m. to 5 p.m. Central Time, or call the toll-free number at (800) 939-6631. The Hidalgo County Commissioners’ Court on Monday, July 28, requested that the Hidalgo County Appraisal District consider re-evaluating property values of those homes affected by Hurricane Dolly. “A re-appraisal of this property will help the people impacted by the hurricane save money. We don’t anticipate that the re-appraisal, which will be prorated for the year, will impact the county’s tax base by a significant amount, but it will help these residents get back on their feet,” said Hidalgo County Judge J.D. Salinas III. Rolando Garza, Chief Appraiser of the Hidalgo County Appraisal District, said he would conduct a survey of the flooded neighborhoods and document the damage, reporting it to the tax assessor collector to determine the amount of taxes. The average residential property is assessed at $40,000 to $50,000, according to Garza. “The district is willing to re-appraise if authorized by the Hidalgo County Commissioners’ Court or any other governmental entity,” Garza said. “We are doing all we can to get our residents back on their feet after Hurricane Dolly,” Salinas said. 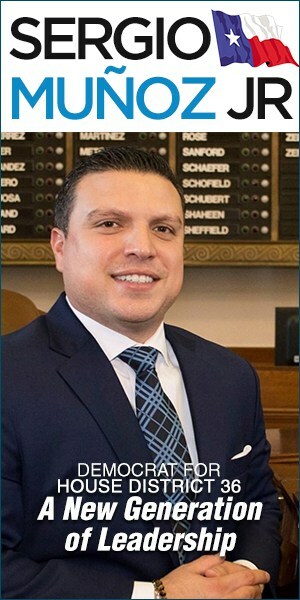 Constituents of Senate District 20, including Edinburg, along with Hidalgo, Brooks, Jim Wells, and Nueces counties, may contact the office of State Sen. Juan “Chuy” Hinojosa, D-McAllen, for assistance with recovery efforts from the impacts of Hurricane Dolly. 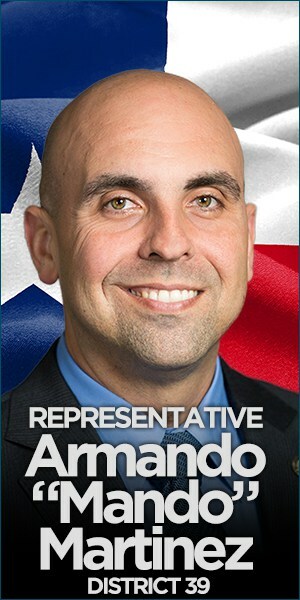 Hinojosa’s office may be reached at 1 (866) 259-5016. Since days before Hurricane Dolly hit South Texas on Wednesday, July 23, public and private agencies were hard at work assessing and attending to damages. The senator’s office can assist consumers by putting them in touch with agencies that can assist with a variety of issues, including problems with insurance claims, price gouging, power outages, and other storm-related issues. President George W. Bush on Thursday, July 24, granted Gov. Perry’s request for a Major Presidential Disaster Declaration, which will provide assistance to 15 Texas counties. 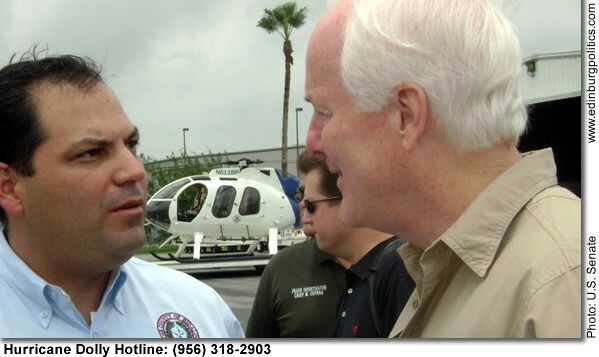 That afternoon, the governor and U.S. Sen. John Cornyn, R-Texas, toured the impacted areas and were briefed by local officials regarding ongoing emergency response efforts as Tropical Storm Dolly moved slowly through south Texas. Cornyn said this latest hurricane highlights the importance for Congress to pass his legislation that would allow county governments in the Valley to make immediate repairs to their outdated levee system, and be reimbursed by the federal government at a later date. Cornyn sent a letter earlier last week to Senate Majority Leader Harry Reid, D-Nevada, urging him to bring the levee-repair bill to the Senate floor swiftly for consideration. “The levee system of the Rio Grande Valley—intended to protect homes and businesses from flooding—is outdated and repairs are long overdue. I introduced legislation earlier this year that would allow local government entities in the Valley to begin making repairs to the levees to protect Texas families and businesses against flooding. The most important component of this bill is that it enables local officials to proceed with immediate repairs. Yet, with Hurricane Dolly’s arrival and hurricane season upon us, this important bill remains stalled in the Senate. I’m hopeful the Majority Leader will grant my request and call this bill to the floor, so we can prevent serious damage and harm to homes, businesses, and residents in the Valley,” Cornyn said. Hours after Hurricane Dolly passed through Deep South Texas, President George W. Bush on Thursday, July 24, issued a disaster declaration for several counties including Hidalgo County. The type of assistance available to Hidalgo County through the Federal Emergency Management Agency is public assistance only. Public Assistance refers to costs that state and local governments incur as it relates to a disaster. Hidalgo County may now be eligible for federal reimbursement for emergency work and the repair or replacement of disaster-damaged facilities, infrastructure and tools such as buildings, vehicles, and roads. Additional designations may be made at a later date after further evaluation. Currently, individual assistance for items such as damaged homes is not available. FEMA and state preliminary damage assessment teams will arrive as early as today to begin putting together damage estimates. Emergency communications, emergency access and emergency public transportation costs may also be eligible. Expanded public assistance also must await joint state federal damage assessments. Catastrophe risk modeling firm AIR Worldwide estimates total insured losses from Hurricane Dolly in the US and Mexico at between $350 million and $700 million. Estimated insured losses from Hurricane Dolly, in the U.S. only, have been narrowed to between $300 million and $600 million. The revised loss estimate falls at the low end of the AIR’s preliminary estimate of U.S. losses issued Wednesday, July 23, due to the fact that Dolly’s actual track inland was on the northern edge of the range of forecast tracks issued by the National Hurricane Center (NHC) at the time of landfall. 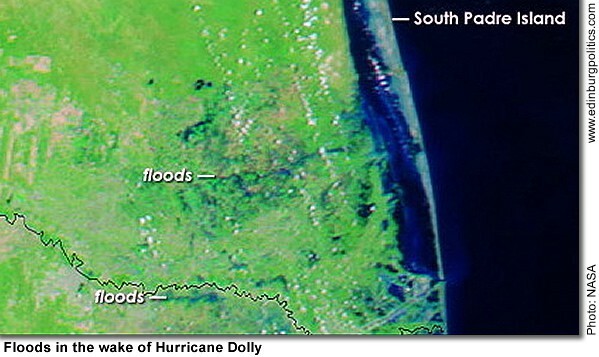 Because wind speeds and storm surge are higher on the right-hand side of hurricane tracks in the northern hemisphere, the largest concentration of exposure in the US – Brownsville, Texas – was spared the worst of Dolly’s winds. In Mexico, AIR estimates that insured losses from Hurricane Dolly are between $50 million and $100 million. The uncertainty in the insured loss estimate for Mexico stems in part from uncertainty surrounding take-up rates-the percentage of properties actually insured against wind and flood losses. “In Brownsville, downed trees and shredded roofing materials litter the ground today, and some homes are flooded,” he added. To the west of Brownsville, in the Rio Grande Valley, Dolly destroyed a large portion of the cotton crop. Fortunately the levees along the Rio Grande, which officials had feared would break, remained intact. At 2:00 pm EDT on July 24, Dolly was downgraded to a tropical storm with maximum sustained winds of near 40 mph and higher gusts. The tropical storm warning that had been in effect along the Texas coast from Brownsville to Port Arkansas was lifted at 11:00 am EDT on Thursday morning. AIR Worldwide Corporation (AIR) is the scientific leader and most respected provider of risk modeling software and consulting services. AIR founded the catastrophe modeling industry in 1987 and today models the risk from natural catastrophes and terrorism in more than 50 countries. More than 400 insurance, reinsurance, financial, corporate and government clients rely on AIR software and services for catastrophe risk management, insurance-linked securities, site-specific wind and seismic engineering analyses, and property replacement cost valuation. AIR is a member of the ISO family of companies and is headquartered in Boston with additional offices in North America, Europe and Asia. While its campus was closed July 23-25 during Hurricane Dolly’s march across the Rio Grande Valley, The University of Texas-Pan American opened its doors Thursday, July 24 to assist the Texas Air National Guard and H-E-B associates who came to aid South Texas communities and residents in the aftermath of the storm. According to Dr. Richard Costello, director of Environmental Health and Safety at UTPA and a key member of its Crisis Management Team, the university provided housing in the UTPA Fieldhouse for approximately 200 members of the Texas Air National Guard who arrived to provide help in supplying water and food to victims as well as assistance in engineering and regaining electrical services. UTPA’s Office of Auxiliary Services and Sodexho, the University’s food service provider, also fed the guardsmen during their five-day stay on campus. In addition, about 75 H-E-B employees from around the state who volunteered to help distribute food, water and ice to those without electricity or drinking water, were housed in two of UTPA’s residence facilities. 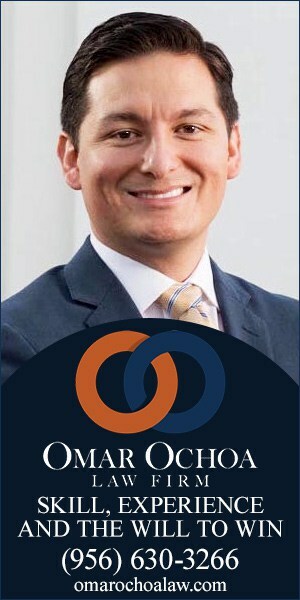 Costello said that UTPA currently has agreements with three entities – Texas Department of Public Service, Texas Commission on Environmental Quality and the Texas Department of State Health Services – to provide assistance in relief efforts to include housing and possible food service. These agreements are part of the state’s official emergency response plans. “When we were contacted by the Department of State Health Services on Thursday for assistance, our physical plant employees immediately readied the Fieldhouse for the National Guard. While here, guardsmen were also afforded the use of the University’s Wellness and Recreation Center as well as the laundry facilities at Unity Hall,” Costello said. As part of UTPA’s Hurricane Preparedness Plan, university staff also participated in pre-storm procedures and notification to the University community and media and post-storm damage assessment and remediation. Essential staff members also stayed on campus during its closure to accommodate those in campus housing and to maintain services to UTPA buildings and campus security. “Our cooling plant employees, for example, were fighting electrical surges to keep the chillers that cool the campus on during the event. Our UTPA Police provided surveillance before and after the storm – the officers and guards were here during the duration,” Costello said. “What I thought was most impressive was the fact that none of the team members said ‘no’ to any of the challenges before and after the storm. This is no doubt a reflection of the charge from UTPA President Blandina “Bambi” Cárdenas, who has made it clear that we act conservatively when dealing with the safety of the UTPA community. She has also made it clear our commitment to the Rio Grande Valley community during relief efforts,” Costello said. In a post-storm letter to UTPA staff and faculty, Cárdenas expressed her gratitude for level of caring and professionalism exhibited by University employees. 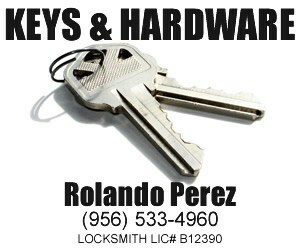 For more information of UTPA’s current hurricane preparedness program, go to http://www.utpa.edu/hurricane. More than 50 percent of the 4,000 residents of Sebastian, a community in Willacy County, are 65 years of age or older, and were among the thousands of people hit hard by Hurricane Dolly. Significant damage caused by floodwater and drainage issues associated to the lack of improved street infrastructure did not surprise many, challenging emergency response teams because of major environmental damages and flooded streets. Many of Sebastian’s elderly citizens live on minimum income to overcome unplanned economic setbacks. The natural geographic elevation of this town is considered a recessed area. As a result of Dolly, water levels seeped in higher levels into homes and throughout streets. Water levels reached two- to three-feet far above the ground, causing continued structural and environmental damage. Sebastian is an unincorporated town under the jurisdiction of the county for sole support of public services. Historically, this county has been designation as an economic distressed area according to national and state income averages. In recent months, county elected officials have been working with state and federal agencies in attempt to attain funding for flood mitigation planning, structural and improved roadway projects. Willacy County officials said they appreciate the help they are receiving from state and federal sources. “We are grateful to Gov. Rick Perry and his emergency response team to offer immediate assistance to Willacy County. His office and Steve McCraw, State Director of Homeland Security, recognize the significant damage and safety hazard our region faces,” said Emilio Vera, Jr., Interim County Judge. Willacy County officials are eager to continue working closely with FEMA and other state emergency response teams. County personnel including community leaders will be available to provide continued recovery efforts and damage assessment for consideration of the granted Major Presidential Disaster Declaration. “We truly appreciate the enormous coordinated state, federal and private sector partners who directed emergency protective measures before, during and after the hurricane disaster. As elected officials, we take our leadership serious and are appreciative to get additional help when a natural disaster occurs,” said Aurelio Guerra, County Commissioner for Sebastian. Texas Comptroller Susan Combs says businesses damaged by Hurricane Dolly may postpone paying state taxes, if necessary, while they clean up wind and flood damage. Taxpayers may request extensions of up to 90 days to file state tax returns due in July and August. Upon request, tax extensions are available for businesses located in counties the Governor has declared disaster areas. The affected counties are Aransas, Bexar, Brooks, Calhoun, Cameron, Hidalgo, Jim Wells, Kenedy, Kleberg, Nueces, Refugio, San Patricio, Starr, Victoria and Willacy. 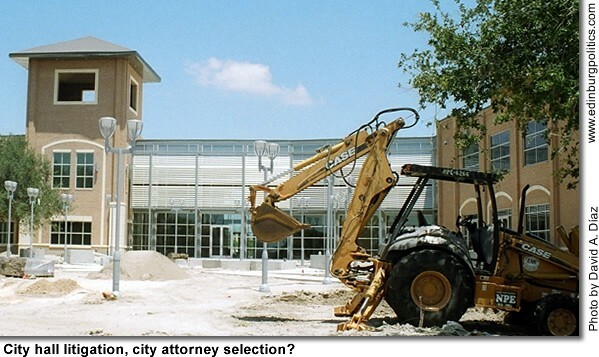 • The cost of labor to repair storm-damaged, non-residential property, including office buildings and stores. 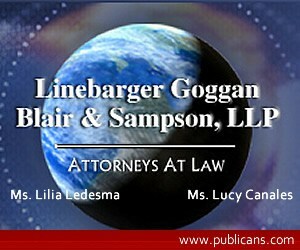 Labor charges must be separately stated on the repair bill. Texas does not impose sales tax on labor for residential repairs. • Services used to restore storm-damaged property, including dry cleaning of clothing and draperies; rug and carpet cleaning; and appliance repairs. For more information or to request a tax filing extension, call the Comptroller’s toll-free tax assistance line in Austin at (800) 252-5555. South Texas College ranks in the top 100 community colleges in the nation out of more than 1,100 community colleges in awarding associate degrees according to the national education journal Community College Week. STC ranks third in the nation in awarding associate degrees to Hispanic students. According to the publication’s June report “Top 100 Associate Degree Producers,” STC also ranks in the top 50 in the nation for awarding degrees in the fields of criminal justice, multi/interdisciplinary studies, parks, recreation, leisure and fitness studies, and security and protective services. Community College Week ranks colleges based on the number of degrees granted annually. The data is collected by the National Center for Education Statistics. 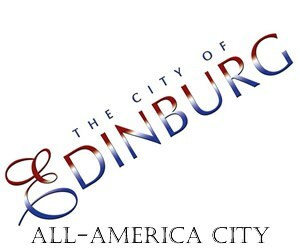 For additional information about the publication and its national rankings visit http://www.ccweek.com. 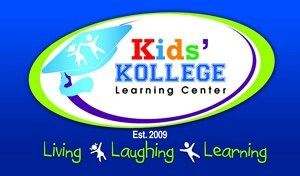 For additional information South Texas College visit http://www.southtexascollege.edu or call 872-8311. The U.S. House of Representatives gave its final approval to a major overhaul of America’s higher education laws on Thursday, July 31, announced Congressman Rubén Hinojosa, Chairman of the House Subcommittee on Higher Education. The historic bill which drew bipartisan support advances now to the Senate for final clearance before being sent to the President for his signature. 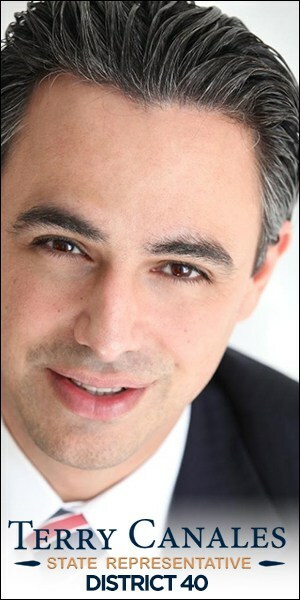 Hinojosa, D-Mercedes, who introduced the bill last November with Education Committee Chairman George Miller, applauded the Higher Education Opportunity Act’s efforts to reform the nation’s higher education programs to increase the affordability and accessibility of higher education. A report released by the College Board in June shows that tuition and fees at four-year public institutions in Texas increased by 8 percent – after inflation – between 2006-07 and 2007-08. The report found that tuition prices were up across the board nationwide, at public and private colleges and at two-year and four-year colleges. In light of these alarming trends, the legislation would provide students with consumer friendly information on college pricing and the factors driving tuition increases. It also would increase the authorized Pell grant maximum to $8,000 by 2014, streamline the federal financial aid application process, and increase college aid and support programs for veterans. It would also set up on-campus centers to help returning veterans successfully transition to college life. Troubling revelations about the student loan industry also prompted Hinojosa and other lawmakers to include protections to clean up corrupt practices in student loan programs and safeguard students from aggressive lender marketing practices. The bill requires better consumer disclosures and protections on private student loans as well. As chair of the Higher Education Subcommittee, Hinojosa was able to include an unprecedented number of initiatives to boost the achievement of Hispanic students in higher education. Hispanics continue to have the lowest levels of education attainment of any group in the country. In the 1999-2000 academic year, Hispanics earned only 6 percent of bachelor’s degrees, 4 percent of master’s degrees, and 3 percent of doctor’s degrees. To address these dismal statistics, Hinojosa successfully added a provision that will for the first time establish a program, authorized at $100 million, to help set up long overdue graduate programs at Hispanic-serving Institutions (HSIs). Additionally, there will be roughly $12 million in direct funding available next year to jumpstart this program. HSIs are the gateways to higher education for Hispanic students, educating 50 percent of all Hispanics who attend college. Hinojosa’s efforts to promote HSIs directly impact The University of Texas-Pan American, The University of Texas at Brownsville, Texas State Technical College in Harlingen, and 42 other HSIs in Texas that enroll a large percentage of Hispanic students. 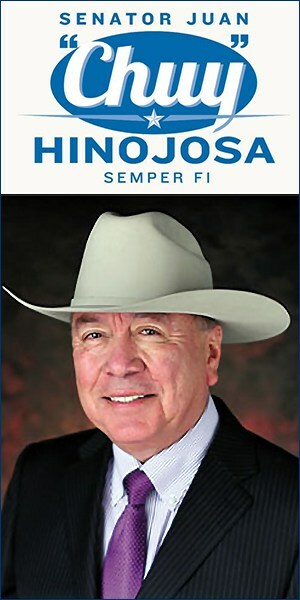 Hinojosa also successfully boosted the authorization for undergraduate HSI programs to $175 million. Strengthen the nation’s workforce and economic competitiveness by boosting science, technology, and foreign language educational opportunities. The College Opportunity and Affordability Act is a comprehensive reauthorization of the Higher Education Act of 1965, the primary law aimed at expanding college access for low- and middle-income students. It was first signed into law by President Lyndon B. Johnson as a part of his Great Society domestic agenda. The University of Texas at Brownsville and Texas Southmost College (UTB/TSC) and the U.S. Department of Homeland Security/U.S. Customs and Border Protection (DHS/CBP) reached an agreement on Thursday, July 31, that ends all court proceedings between the parties. DHS/CBP has agreed to end condemnation actions against UTB/TSC, effectively allowing UTB/TSC to retain ownership over all its property. As part of the agreement, UTB/TSC would enhance campus security in two ways. University-owned fencing adjacent to the levee would be augmented to a height of 10 feet and upgraded with high-tech devices. The current fence varies between six feet and eight feet. The enhancements to UTB/TSC’s perimeter security, at the university’s expense, would complement methods already in use on the campus. UTB/TSC President Juliet García praised the hard work of all parties. The agreement also would allow UTB/TSC more room for capital construction and expansion on the land and the federal agencies would support the university’s long-term efforts to move and enhance a flood control levee to the edge of the Rio Grande. At the core of the agreement, UTB/TSC and DHS/CBP would collaborate in the establishment of a center to study border issues including security. It would examine, among other elements, the use of technology for securing the border. The UTB/TSC campus southern perimeter will be part of a laboratory for testing new technology and infrastructure combinations. “We are gratified that these public entities representing local, state and federal interests have arrived at an amicable solution that preserves UTB/TSC campus life while enhancing border security for the nation,” said Barry D. Burgdorf, the vice chancellor and general counsel for the University of Texas System. Texas Attorney General Greg Abbott on Wednesday, July 30, charged two South Texas defendants with unlawfully operating an uncertified nursing school in Rio Grande City. According to the state’s enforcement action, IFTech Medical Institute, L.L.C., and its owners, Robert Jean-Marie and Claude Wilder, failed to obtain a legally required certificate of approval from the Texas Workforce Commission (TWC). The Office of the Attorney General opened an investigation into IFTech Medical Institute after receiving referrals from the TWC and Texas Board of Nurse Examiners. According to state investigators, IFTech Medical Institute charged students approximately $10,000 in tuition for nursing courses that the defendants were not certified to provide. Because the school is not approved for instruction by the TWC, it cannot lawfully teach nursing courses and its students are not eligible to take the Texas nursing licensure examination. The TWC issued a cease and desist order against IFTech Medical Institute last May, but the defendants refused to comply with the commission’s directive. The July 30 enforcement action, announced in Edinburg, sought a temporary restraining order, which the court granted to prevent IFTech from soliciting new students or collecting tuition from students. It also seeks court-ordered restitution for students who were financially harmed. The temporary restraining order also prohibits the defendants from operating any career school in the future without prior approval from the TWC, which regulates professional training institutions in Texas. The Attorney General also informed the court that Jean-Marie falsely represents to students and the public that he is licensed as a physician in Texas. The legal action cites violations of the Texas Education Code and Deceptive Trade Practices Act (DTPA). The Attorney General seeks penalties of up to $20,000 per day for each violation of the DTPA and up to $1,000 per day for each violation of the Education Code. Dr. Tracie Harrison, assistant professor of nursing at The University of Texas at Austin, has received $1.3 million from the National Institutes of Health for a study comparing experiences of women with disabilities. Harrison wants to look at white and Hispanic women ages 55-75 to compare how women developed mobility impairment and how it impacts their lives. She is interested in how impairment affects functioning and how the timing of disability in women’s lives impacts subsequent health as they age. Study participants should have a limitation in their ability to walk, climb steps or stand. Mobility problems may be caused by numerous diseases, including multiple sclerosis, cerebral palsy, stroke, polio, rheumatoid arthritis, muscular dystrophy, spinal cord injuries and Parkinson’s, said Harrison. “Persons with disabilities are living longer than ever and, yet, they have accumulated more social and health-related problems than people in general,” said Harrison, adding that the healthcare system must be prepared to address the age-related issues that millions with disabilities face. Statistics show that Hispanics with disabilities, estimated at more than three million in the United States, report greater levels of disablement than white, non-Hispanic women with disabilities. Hispanics experience more functional limitations, more difficulties with activities of daily living and more unemployment due to impairments. “The reasons for this health disparity are unclear,” said Harrison. In previous studies, Harrison found that women adapt to impairment in culturally specific ways. The meaning that they give to their impairment impacts how they live their lives once a limitation occurs. She wants to examine the ways different groups adapt to their impairments and learn from their experiences. She hopes her current study will provide the knowledge needed to address health disparities in disablement among women. The study involves personal interviews with Harrison. Participants will be financially compensated. Those interested should contact Harrison at 512-471-9085 or e-mail at tharrison@mail.nur.utexas.edu. For more information, contact: Nancy Neff, Office of Public Affairs, 512-471-6504; Tracie Harrison, School of Nursing, 512-471-9085.